It seeks the creator. Is it a starship or a sentient being? 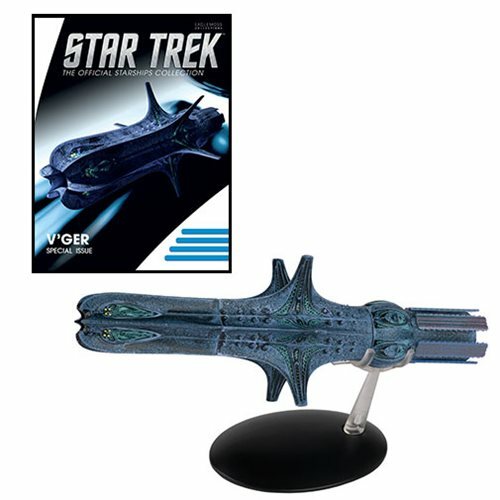 Fans of the movie Star Trek: The Motion Picture know the answer and will be happy to add this cool Star Trek Starships V'ger Special 16 Vehicle with Collector Magazine to their desk or shelf. It includes a display stand and an informative magazine.